You all know I’m always about a good deal:) Confession: I went through a 3-year period where I was a total make-up snob. If it wasn’t a beauty counter product, it wasn’t touching my face! Thankfully, Pinterest and blog-reading wised me up. I starting taking chances on some drugstore products and you know what? I liked some of them (not all) as much, if not more, than the beauty counter brands!!! 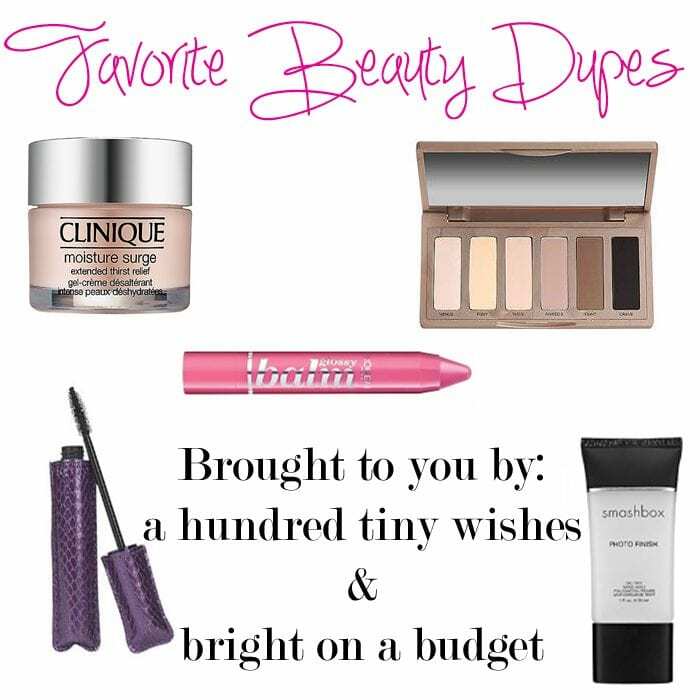 Tabitha from A Hundred Tiny Wishes and I have teamed up to bring your some of our favorite beauty dupes to help you stretch your beauty budget further. The L’Oreal mascara is around $7 (compared to Tarte at $23), and you can usually combing a BOGO promotion with coupons to get this mascara even cheaper! I think that it makes just as much of an impact as the Tarte mascara, especially if you’re seeking thicker lashes. Approximate savings: $16. Again, the price difference is similar to the mascara. The Tarte crayon is $24, and the L’Oreal one is only around $7. I found the’ L’Oreal version to have great pigment and to be hydrating to my lips. Approximate savings: $17. The Naked2 Basics palette will run you $29 (unless you snag it with a special member coupon or points at Ulta), while the Maybelline version will run you no more than $10 (but often less–currently BOGO 50% off, plus can use the $3.50 off $10 Ulta coupon). Now, these aren’t exact dupes, although I’m seen the Maybelline palette compared to the regular Naked2 palette. The Naked2 Basics is a matte palette, while the Maybelline version is not. I think, however, that you can achieve very similar looks with both palettes. I will caution you to use a good eye primer/base with the Maybelline palette, but it works great so long as you do! Approximate savings: at least $19, but can be as much as $22.50 or more! This eyeliner is where it is at. I was paying $20 for a gel eyeliner pencil before I found this. My old pencil was discontinued, and I hate the gel eyeliner in a pot, so I was on the search for something similar but new. I found this, and it’s been true love ever since. You can get this as cheap as $1 (watch Ulta’s sales papers)! Right now, it’s priced at $8 and BOGO Free! And you can always use the Ulta coupon mentioned above to score it even cheaper. This eyeliner gives a bold, defined look that stays around all day! Approximate savings: at least $12, but as much as $19 or more!!! I love using high end products, but sometimes my wallet doesn’t allow me to finance my favorite products from Sephora and Ulta. And that used to be a problem! 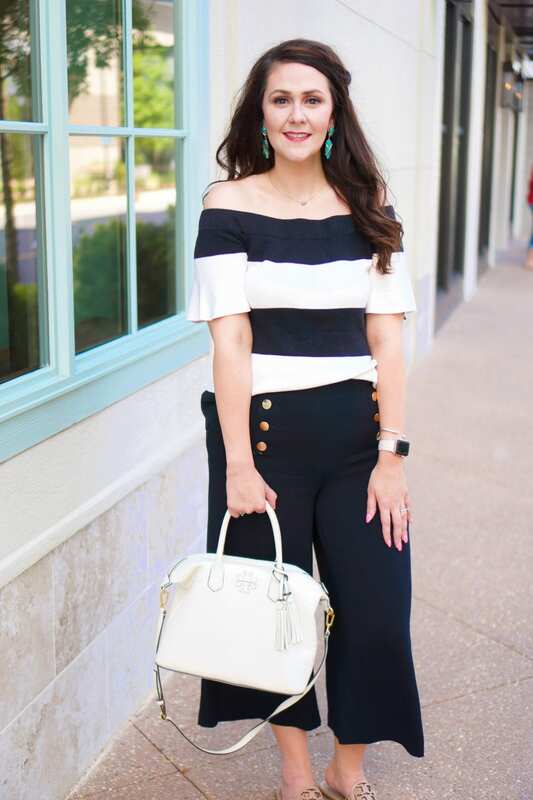 After getting some recommendations from friends, and the wonderful world of bloggers, I have compiled a list of my tried and loved, favorite beauty dupes (products that are almost the same). I love love love the Tarte Mascara, but I do hate how expensive it is! I need to look at the L'oeral one. Thanks! I love the idea of this!!! I have to admit… I shop Clinique. I've found it works best for me but I love seeing some alternatives. Since the price tag is so great, I just might have to give them a try! I am always hesitant to try drugstore brands because I don't know enough about the product! This post was so helpful and I'm going to try the Garnier moisture rescue and the Ulta gel eye pencil! I love this list. Getting the Maybelline palette is on my list…and I have the day off to esacpe the house of paint fumes, so I may just head to Ulta! Thanks for the great suggestions! Great list!!! Love it and it will be so useful. Im all about saving that money! I love the Loreal Paris lip balm ever since I got it in the Walmart beauty box! Seriously one of my faves now. I still need to try the Madeline nudes palette. I just haven't been wearing eyeshadow lately, but nudes are definitely my go-to when I do. I was definitely just as happy with the cheaper version! And you can usually get the Tarte version on sale at Ulta for $!0 a tube during their 21 Days of Beauty sales. Well, the good thing about Clinique is they do have awesome bonuses. I will say that I picked up the Garnier moisturizer based on Tabitha's recommendation, and I LOVE it! I tried the moisturizer dupe based on Tabitha's recommendation and loved it! You're welcome! The palette is such a good deal! I hope you have a wonderful New Year as well! I just picked up the Garnier and it does a great job! Della got the eye palette and she loves it too!